Join us to enjoy a collection of original paintings and drawings by local botanical artists which record the rare and endangered plants of the Avon Gorge. The skill of botanical illustration is to create a true and accurate representation of a plant, recording details and highlighting distinguishing features in order to help botanists identify it. In botanical illustration, the emphasis is on scientific recording of roots, seeds, leaves and flowers and drawings can include the life cycle of the plant or dissections of it. Beneath the bridge, the Avon Gorge is home to many Rare or Nationally Scarce species, including Round-Headed Leek Allium sphaerocephalon, Bristol Rock-Cress Arabis scabra, Western Spiked Speedwell Veronica spicata subsp. hybrida, Fingered Sedge Carex digitata, Autumn Squill Scilla autumnalis, Rock Stonecrop, Sedum fosterianum and Pale St. John’s-wort Hypericum montanum. It is a nationally important place for the emergence of new species of Whitebeams, eg. Bristol whitebeam Sorbus bristoliensis and Houston’s whitebeam Sorbus x houstoniae. Although the works are not for sale, cards of the artists work will be available from the gift shop. Rare Plants of the Avon Gorge Walk and Exhibition - Saturday 15th June, 10.00-12.30, £6.00. 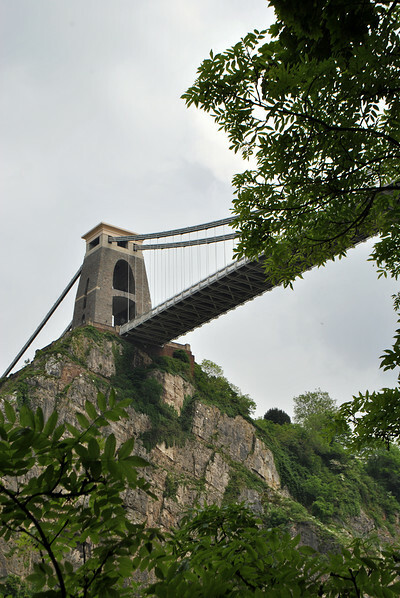 Discover the rare plants of the Avon Gorge on a short stroll with Libby Houston around the Observatory and over the Clifton Suspension Bridge. At the Bridge Visitor Centre we’ll enjoy an exhibition of botanical drawings and paintings by artists from the Friends of the University of Bristol Botanic Garden and hear how they were created - with Nick Wray, Garden Curator at Bristol Botanic Garden. Facilitated by the Avon Gorge and Downs Wildlife Project.